Spacious and simply designed rooms with lost of mouth watering eateries nearby. 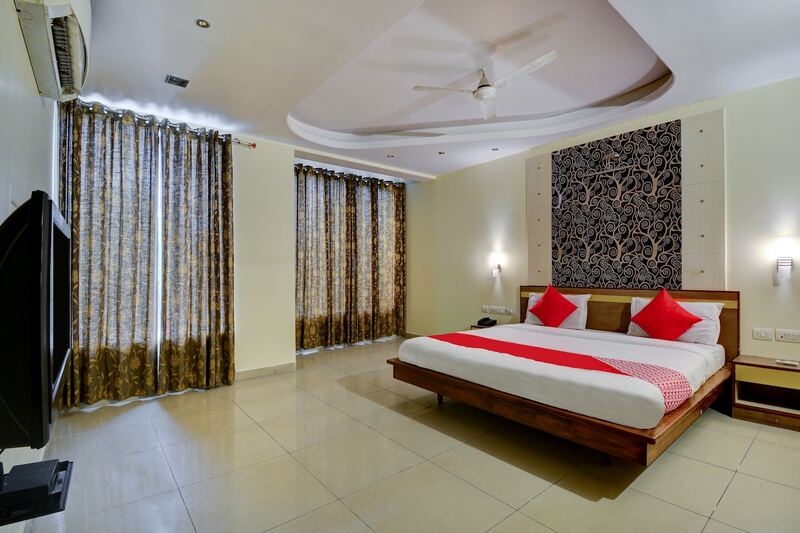 A wonderful piece of property situated in Jaipur, Hotel Taurus offers some amazing rooms within a pocket-friendly price range. The spacious rooms have been elegantly decorated and are well-furnished. Large windows have been provided in the room to let the guests enjoy some fresh air and bright sunlight. Some of the walls have been decorated with intricate designs. The additional facilities provided by the hotel are free wifi, a constant power backup source, parking provisions, and CCTV cameras. The front desk service can be easily located and is handled by hospitable staff.